Boost commercial style and nighttime visibility with the 7in. Emblem Shade. Made from commercial-grade aluminum, this modern shade and gooseneck arm combination is durable for outdoor applications. 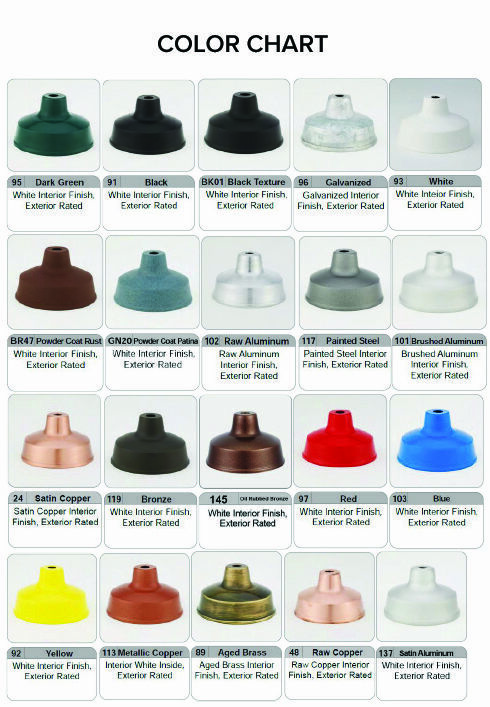 And all parts have a rust resistant powder coated finish available in 25 attractive colors. Standard orders for outdoor gooseneck lighting come with incandescent lamping, and this particular style is rated for a 150-Watt maximum. Alternative lamping options include: HID options high pressure sodium and metal halide, compact fluorescent, and energy efficient LED gooseneck lights. Please call for details and a price quote. Incandescent gooseneck fixtures come with a round cast aluminum mounting plate with holes that are 3-1/2" on center. Install to a 4" weatherproof recessed, 4" round or octagon J-box. All parts are commercial-grade and outdoor-rated. Please note HPS and MH gooseneck fixtures may require different ballasting.